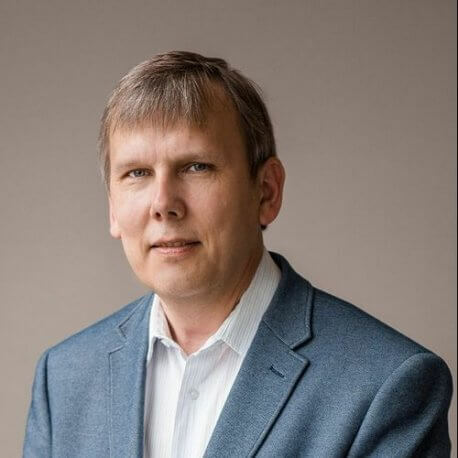 Prof. Dr. Tauno Otto (M) is a full-professor at Tallinn University of Technology (TTÜ) since 2010. He received his PhD at TTÜ in 2006. He is currently acting as the coordinator for the H2020 Manufuture 2017, I4MS Regional Digital Innovation Hub in Robotics, and Estonian research roadmap infrastructure object: Smart Industry Centre. He has served as the project coordinator/manager in 35 EU and national projects, e.g. INTERREG “Development of Innovative Business Models for Ensuring Competitiveness“ (2010−2013), resulting establishing into North-Estonia and South-Finland region a Centre of Mechatronics. He has been involved as an expert evaluator by European Research Executive Agency in terms of Security and Factories of the Future. He has held 3 Estonian Science Foundation grants and is currently leading a grant for National Chair of Manufacturing Engineering. In 2012, Prof. Otto received DAAAM International Vienna Gold Medal for enlargening DAAAM (Danube Adrian Association of Automation and Manufacturing) netwoking activities to Baltics, in 2014 he was elected to become corresponding member of International Academy of Engineering – Central European Branch. His primary research interests areas are related to manufacturing and digitalisation (Smart Manufacturing, Industry 4.0, digital twins), based on monitoring of machining processes and employee performance and he has co-authored more than 80 publications. 5 PhD students have defended their degrees under his supervision.